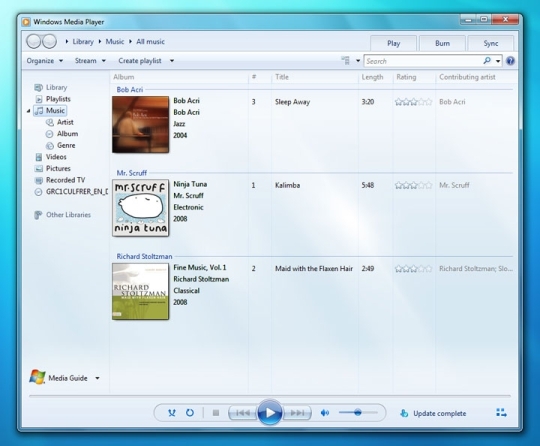 "In the announcement of the impending release of Windows 7 RC (basically the final beta), Microsoft on Wednesday confirmed a rumor that I first saw reported by Zack Whitaker of ZDNet last month: a new feature called Remote Media Streaming will let you access the music library on your home PC from another computer over the Web. It's like Slingbox, only instead of accessing the cable box or DVR sitting in your home, you're accessing the music files stored on your home PC." This would be an excellent feature to implement to the Zune. I mean, come on, the wi-fi is just asking for a killer application and this would be one of the few features that the iPod touch does not use its wi-fi for. Of course, this is probably a pipe dream since this is in WMP rather that the Zune's software.